Would you believe that 1 gram of fish oil a day could improve your child’s behavior? A fascinating, randomized, double-blind, placebo-controlled study [gold-standard for studies] had children aged 8-16 consume 1 gram/day of omega-3 mixed in a fruit drink.1 The primary outcomes measured were externalizing behaviors such as acting-out, aggression and impulsiveness as well as internalizing behaviors such as withdrawnness, loneliness and anxiousness. While both groups saw improvement in behavior after 6 months, the length of the treatment, researchers followed up at the 12-month mark where parents reported a 41% reduction in externalizing behaviors and a 68% reduction in internalizing behaviors. 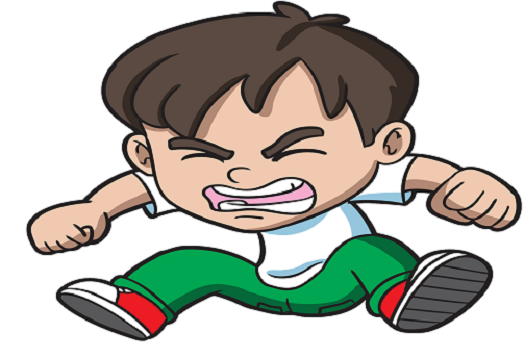 The children's self-reported assessment scores showed a significant reduction in proactive and reactive forms of aggression. The significant declines for these forms of aggression were only noted in the omega-3 group. Additionally, the parents of these children reported less anxious behavior as well. Parents of both groups saw declines in the first 6 months but while the placebo group's parents' anxiety levels returned to normal, the stress levels of the omega-3 group's parents continued to drop. A remarkable component of this study is that the behavior benefits continued for the omega-3 group 6 months after the participants quit supplementing. This is not to say that omega-3 will magically fix all behavior issues, but there are several factors that support why it’s crucial for developing a healthy brain. 1) Omega-3 is the most predominant fat in the brain. 3) Omega-3 fatty acids are vital for the maintenance of normal brain function throughout life. They are abundant in the cell membranes of brain cells, preserving cell membrane health and regulating gene expression. Providing your children whole, healthy foods such as salmon is optimal to get omega-3 from the diet, however, many children resist eating these foods. In these cases, supplementation may be the best method for increasing the omega-3 in your child’s diet. Cardiotabs Ultra Strength Liquid Omega-3 contains 1,100 mg of EPA and 1,100 mg of DHA per serving, the two essential omega-3 fatty acids, in natural triglyceride form. You may consume the pleasant orange-berry flavor straight, however, the majority of children prefer to mix it with food or a drink like applesauce, oatmeal or fruit juice. 1) Raine A, Portnoy J, Liu J, Mahoomed T, Hibbeln J. Reduction in behavior problems with omega-3 supplementation in children aged 8-16 years: A randomized, double-blind, placebo-controlled, stratified, parallel-grouptrial. Journal of child psychology and psychiatry, and allied disciplines. 2015;56(5):509-520. doi:10.1111/jcpp.12314.